To paraphrase an old expression, this might not be the end of the drought, but you can see it from here. The U.S. Drought Monitor's weekly analysis, released on Thursday, shows 58 percent of California in at least moderate drought, compared to 97 percent one year ago. Only 2 percent of the state remains in the most extreme category, "exceptional drought," down from nearly 43 percent a year ago. This week some of California's most respected voices in climate science and water supply started edging toward calling an end to the most punishing drought in memory, now in its sixth year. "This series of storms -- and when you look out it looks like we're going to get even more wet -- is a surface storage drought buster," says Jeff Mount, co-founder of the Center for Watershed Sciences at UC Davis, now a senior fellow at the Public Policy Institute of California. In a mid-week post from the Center, Mount's former colleague, Jay Lund, largely agreed. The state's two largest reservoirs -- Shasta and Oroville -- are 26 percent and 17 percent above their average levels for mid-January. Less than a month ago, hydrologists were fretting over a "snow drought" in the Sierra Nevada. But after a series of blizzards fed by atmospheric rivers off the Pacific, the statewide snowpack now stands at 58 percent above "normal." Note that both Mount and Lunds qualify their declarations by talking about "surface" water, which is to say the rapidly rising -- in some cases overflowing -- levels in most of the state's reservoirs, even in long-parched Southern California. Those surface reservoirs (the ones you can actually see the water in) typically supply about two-thirds of the water that Californians use. In drought years, however, farms and many cities turn to pumping groundwater for relief, and there's the rub. Mount says water consumers have been drawing down the state's strained aquifers by about 2 million acre-feet per year, "come wet, come dry." (That's nearly a quarter of total urban water use in California). In recent years, the lack of surface water supplies have only accelerated that pace. "There's nothing historically that can compare to this," says Mount, "and it will take many years -- many, many years of wet or at least above-average precipitation to fill that gap and fill that hole in the ground that we left when we pumped so hard on our aquifers." 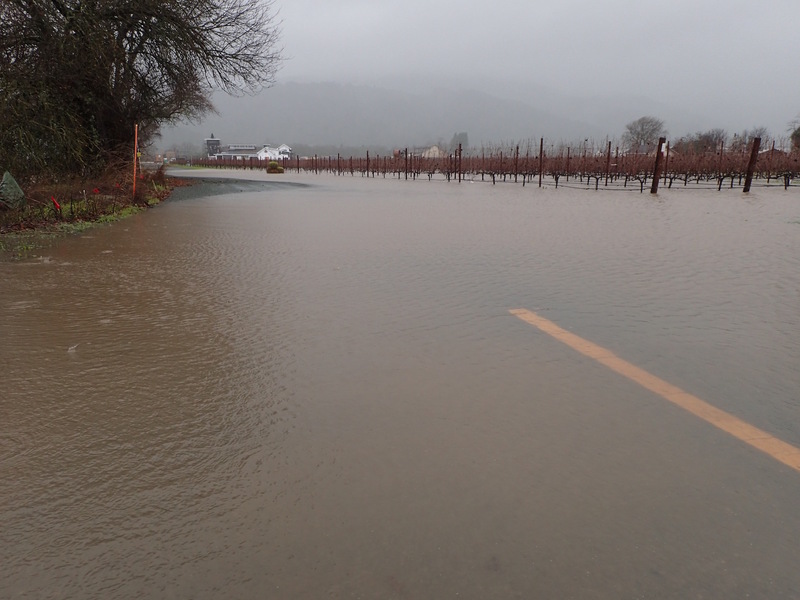 Mount's full analysis is laid out in a post for the PPIC blog that published on Tuesday, as Northern California was getting hammered by rain and snow.